You may have several hijabi friends, or maybe you have hijabi cousins or relatives, but chances are no matter how well you know this person, there are a few hijabi secrets that they’ve been keeping from you! 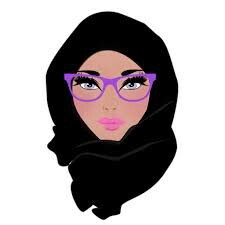 If a hijabi spots another hijabi, it’s very common and natural to say Asalamu Alaykom (peace be upon you, a way of saying hello in arabic). Even if they don’t know eachother. You could be surrounded by people and chatting away, and then stop your chatting to say hi to the hijabi who just passed. I don’t necessarily mean this in a bad way, but a lot of times some girls act differenltywhen they’re wearing they’re hijab versus when they’re not. That’s because with our hijab, especially when living in a Western country, we feel like if we did something bad whilst wearing our hijab it’ll reflect on our entire religion. And there’s plenty of that out there so we don’t want to add to the problem. Personally, this is actually one of the reasons I wear hijab, because having that thought pushes me to be a better person even when Im not particularly feeling kind, it keeps my eyes on the prize despite the tempation. The idea of objectifying women is a bit hard for us to grasp sometimes because if we lived in New York lets say, we dont really have to deal with cat-calling and a feeling of vulnerability because of our sexuality. And though its a good thing that we dont feel objectified most of the time, I do have to admit its kind of dissapointing and sometimes we get jelous that another girl is getting attention for a similar feature, and that the compliment could have been ours if we would show what we’ve got. You know those movies where the geeky girl dreams of suddenly becoming the hot popular girl in school who walks down the hallway and everybody parts to make way for her? Well if you’re a hijabi, I KNOW for a fact you’ve had that day dream where you imagined you’d go without your hijab to school one day and suddenly everybody realizes how beautiful and awesome you are and suddenly everybody loves you and is your friend. Just because they saw your hair and that non-hijabi outfit you finally got to wear. We know how dangerous hijabs can be because weve all had that one day where it took like 5 pins to secure our hijab. I think thats why so many of us get to a point where we’d rather just tuck in our hijab and not use pins. At least thats whats happening to me, I went from using like 3 pins to only using one or none at all! Not all hijabis care about whether they have pictures online without their hijab, but if we see one of another hijabi, we’ll let her know just in case. (I’ll be writing a blogpost about this later to detail what the issue is with this topic). We both know you just threw that hijab on your head in 3 seconds because you wanted a snapchat and not because you had it on. Its funny and this is probably something only hijabis notice ( or maybe something only i notice because i notice weird details like that) but its so easy to tell how much time someone spent putting on their hijab. In Iraqi, cotton candy is called “Shaar Banat”, which basically translates to “Girl Hair” (don’t ask me why its called that I honestly don’t have a clue). If you’ve ever seen a hijabi with her hijab looking like it could reach the ceiling , know its not really her “Cotton Candy” under that cloth, it’s a special type of hair tie that gives her that volume. Unless she’s Rapunzel disguised in a hijab. Theres no number nine so Im going to fill it with this: What if someone read number eight and skimmed through it and then thought hijabis stuff cotton candy into their hijabs?? Lol. 10. Ive Got You Sis! Of the very few societal perks of being a hijabi is this: your sisters have your back! And not just them, your brothers do too, when they see you rocking that hijab they know what you stand for and they respect your dedication. So don’t be surprised when your hijabi friend shares her stories about all the sisters and brothers who supported her despite them just having met! → Who is Afraid of My Hijab? Number 8 was too funny 😛 I guess everyone wants to add volume to their hair, or at least give the illusion. Number 4 really gave me some perspective. That’s honestly something I would be guilty of as well and even though it’s so obvious, I never thought of it that way. That a simple thing like a girl not showing her hair automatically makes people eliminate her as the hot popular girl. Thanks for sharing, I learned quite a bit. Number 4- hahaha!! Had me laughing so much!! Great post! Nice One! After, Reading Blog learns much more interesting facts and Things about the hijabs. Although I’m not a hijabi I still really enjoyed this post! One of the reasons why I don’t feel worthy of wearing the hijab is because I’m worried that I’ll do something dumb in public and others may feel that all Muslims are like this. But Mashallah I like how you mentioned that this actually motivates you to keep going!